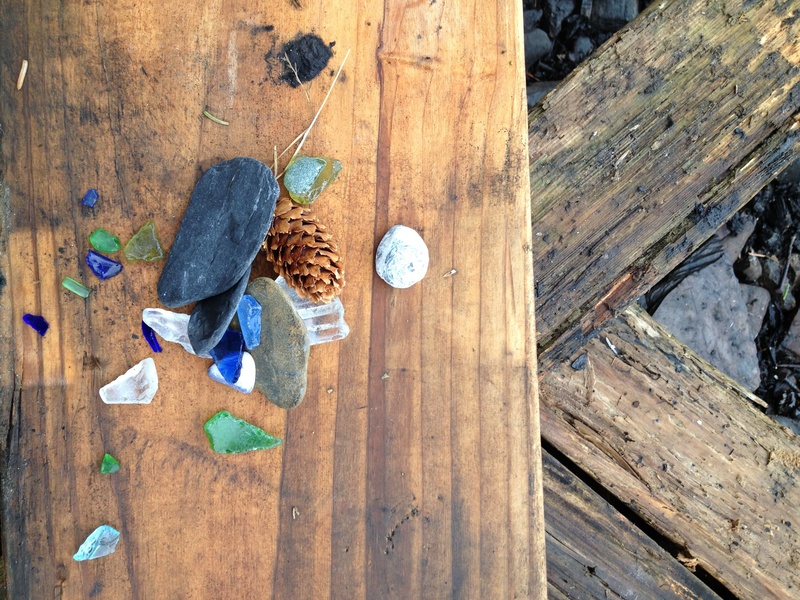 When it is dark, and early in the morning, first impressions may not always be accurate. 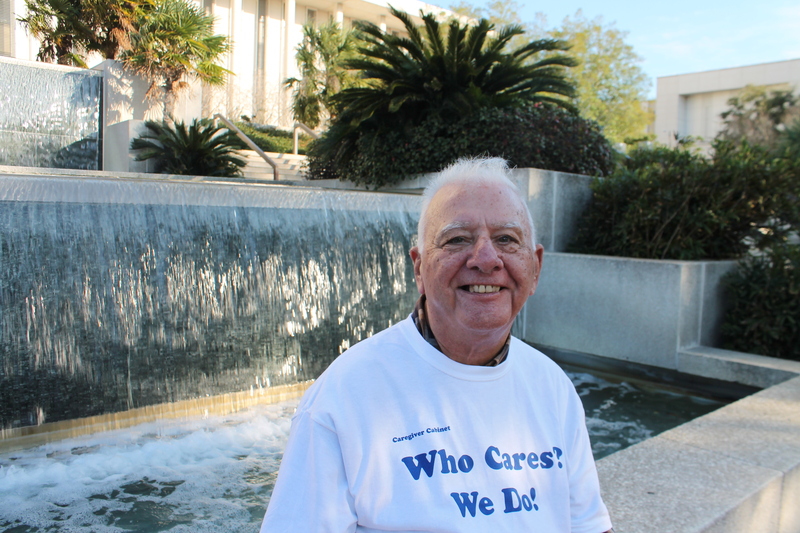 That was true the morning I boarded a bus at 5 a.m. for a four-hour journey to Tallahassee, the state capitol, with 20 strangers, all caregivers like myself, to lobby for the Alzheimer’s Disease Initiative, a bill to assist full-time caregivers with respite care. Caregiving takes its toll, and as I glanced at each face boarding that early morning, I wondered what story brought each one on the bus that day. As light broke that morning, so did conversation begin to break among strangers, and I began to speak with the woman behind me, Miss Margaret, a soft spoken woman with a warm smile. I asked her who she cared for, and she told me her husband, Mr. Willie. The lilt of her voice and demeanor reflected the love and loyalty she felt for Mr. Willie, but the tears forming after a few words revealed the weariness of her burden. After his stroke last summer she has been caring for him full time, as well as pastoring a church near Daytona Beach. His recovery from his stroke has been slow; often he is tired, and it is difficult for him to get around. Still he comes with her to the church. When he tires, he just lays down on the pew and takes a rest. The congregation understands; it’s just Mr Willie. Rest. Rest is something Miss Margaret herself needed. But sometimes it is too much of a burden to get that rest. To be able to go on this day trip, Miss Margaret had to make arrangements at a local respite care home, get Mr. Willie up at 3 am to bring him there for the day. She fretted about getting home late that night to pick up Mr. Willie then bring him home at midnight. I suggested to her to just let him sleep there for the evening so she could get a good night’s sleep. With her sweet smile she replied, no, I’ll worry to much that he will be restless. I’ll just bring him home. Rest. A caregiver who provides 24/7 care for their loved one rarely gets rest. Without rest or respite from their loved one, more than half of caregivers will die before their loved one who has dementia dies. Many caregivers experience high levels of stress and negative effects on their health, employment, income, and financial security. Caregivers experience loneliness, isolation, and grief over extended periods of time. Yet they carry on each day, many with a smile on their face that hides their pain. Tony is one on the bus with a big smile on his face. His eyes even smile beneath his white brow and hair. I ask him, does your loved one have Alzheimer’s. With a big, crooked smile and a twinkle in his eye he answers with utmost sincerity: From the tip of the hairs on her head to the tips of her toes she had everything wrong with her. She suffered with diabetes, had breast cancer, had open heart surgery, and in the end suffered with dementia. Plainly, he says, she was dealt a bad card. As he looks me straight in the eye, with that same twinkling smile, he tells me he cared for her with his whole heart, and if he had to do it again, he would. They were married almost 50 years, and for 12 of them she was critically ill. 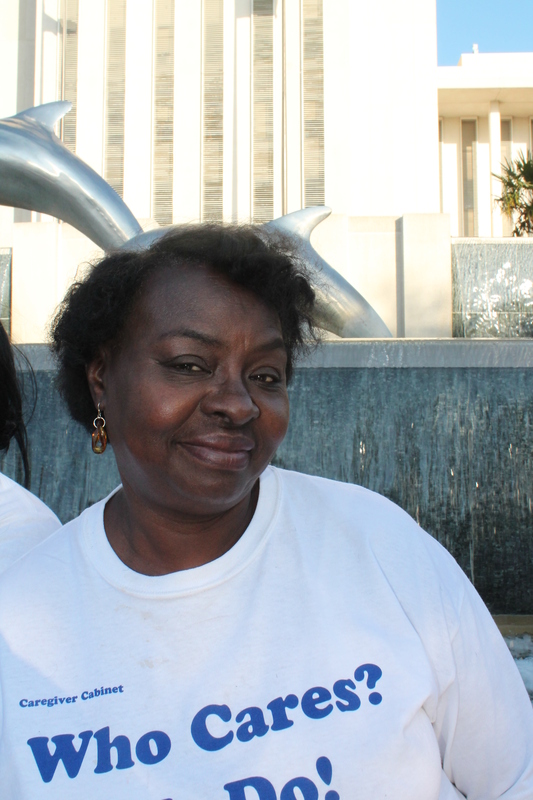 Even though she passed, he has come to Tallahassee to advocate for funding for caregivers for the past four years. Miss Mae tells me with a small tear that her mother passed last November, yet she continues to care for her two aunts as she has for all three of them the past several years. She shares a photo of her mother on her phone. The warm smile on her mother’s face tells me she must have had a great laugh. 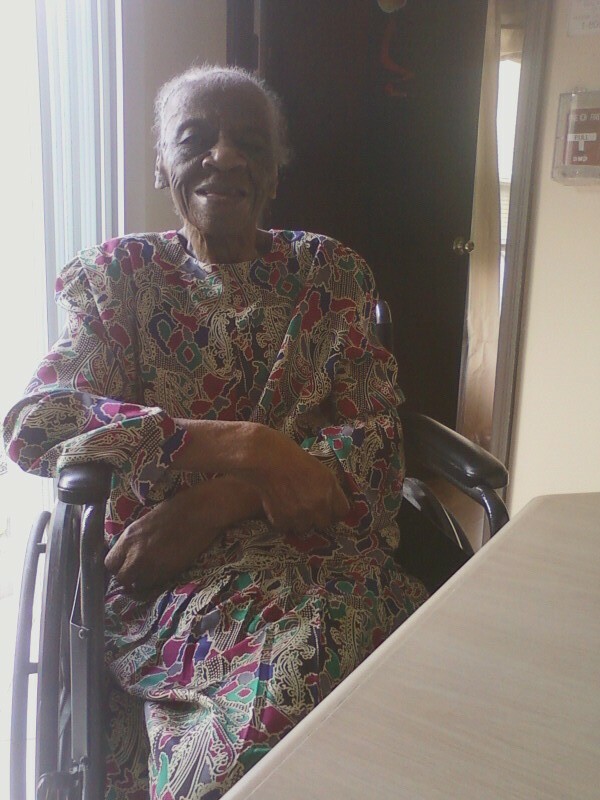 Miss Mae smiles and tells me they miss her at the home, for she was the one who made everyone laugh. Miss Mae says that her mother had Alzheimer’s, but Alzheimer’s did not have her. This resolve of the mother permeates the life of the daughter. This resolve permeates the lives of those who now care for the ones that once cared for them. I had watched a smartly dressed woman wheel her grandmother to the bus. Hunched over from osteoporosis, the grandmother gingerly took each step up the bus as the young woman assisted. At lunch I sit next to them, and find out that the young woman, Sherri, has been caring for her 94-year-old grandmother for the past 10 years, after her grandmother helped Sherri care for her mother. Since she was 20, Sheri’s mother had suffered with MS, but it was colon cancer that took her life 10 years ago. Sherri was her mother’s miracle. Her memories of her mother include her fight and resolve against MS then cancer. Sherri reflects her mother’s passion as she now cares for her grandmother, even now, living with her two weeks after her honeymoon with “the one that got away”…the high school sweetheart she married 20 years later. These are the faces of caregivers, the ones who care for those who loved them. The ones who take their loved ones into their homes. They are retired. They are working. They have new lives. They are selfless and giving. They are tired. Their weariness does not prevent them from the four hour bus ride to Tallahassee or the six hour walk through various offices of the capitol to show their support for the Alzheimer’s Disease Initiative, ADI, a $4.2 million proposal by Florida Governor Rick Scott to assist caregivers in respite care. The proposal will help caregivers on a sliding scale with needed respite care so they continue their jobs or even have a break to complete necessary tasks while caring for their loved one. 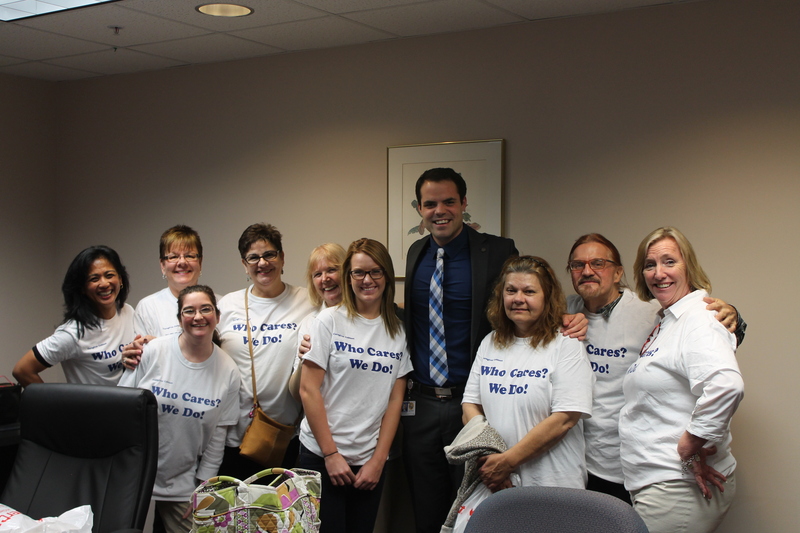 Our band of 20, dressed in t-shirts that say “Who Cares?….We do!” have appointments scheduled to meet with legislators to ask for their support for this bill. As we move through different office and meet the legislators, we surprisingly find this truth: that many have their own brushes with Alzheimer’s in their own families, their own stories to tell. The face of Alzheimer’s is increasingly prevalent in this society, as the incidence of Alzheimer’s occurs in 5.3 million lives today. The need for support in its many facets: respite, counseling, funding, supplies, daycare……continues to grow. Behind these numbers are the faces of the ones who care, the ones who get lost behind the research and the funding and the cures opposed to the day to day living with this disease. 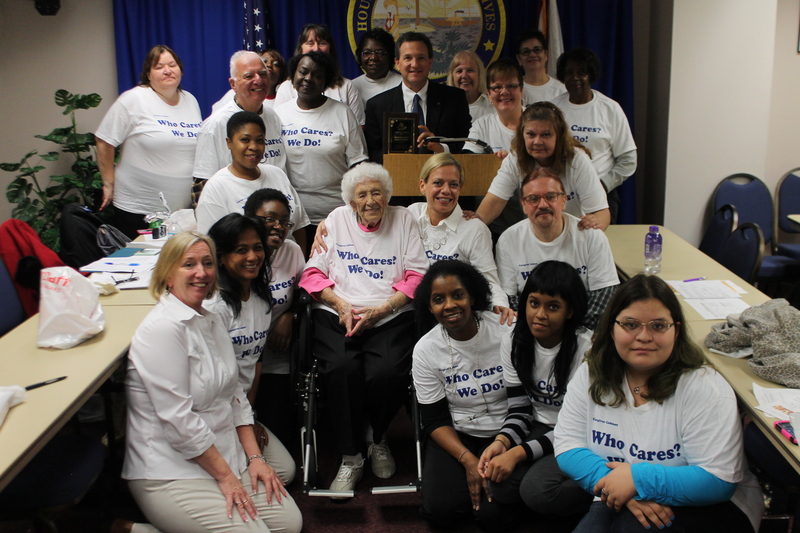 It is the faces that need to be remembered, as Representative Mark Pafford reminded us last fall at a Caregivers Forum. The faces of caregivers. They are real. They are resolved. And they each tell a story that someday may be your own. How very true! Great post. Thank you! I see from your blog we are in similar situations….. Yes I believe I drew the same straw as you..but that’s another story! It’s always comforting to know there are others walking this same path, sandwich generation and all… Thank you for sharing…. As a caregiver to my terminally ill brother I thank you for your beautifully written essay. God bless those who are chosen for this journey. Terry I see are you have for your brother.it is very inspiring….thank you for your encouraging words.